When Arkadii Dragomoshchenko died in September 2012, his many friends, readers, admirers, and fellow poets expressed both immense sadness at the loss, which felt terrible and sudden, and a sense of wonder at his rich accomplishments. Few Russian poets, probably few poets anywhere, have left us a legacy of such intense cooperation across countries and continents. For weeks in late summer and early autumn, the Petersburg poet and critic Aleksandr Skidan posted favorite poems by Dragomoshchenko on Facebook, often daily. It was a powerful way of keeping him alive, of holding him in our imaginations and, at least figuratively, of holding him close. Skidan also posted a number of Dragomoshchenko’s photographs, and he continued to add photographs after Arkadii died. The hope of keeping him alive was gone, but a different fantasy took its place: that there would be new work to discover, that a poet whose vast creative and intellectual energy had sustained so many people would, even after his death, continue to send forth new provocations to thought and to our own creative work. It is the provocation to thought that stays with me as a defining trait of the work, and by “work” I mean to include poems and photographs. Both challenge us to reflect on how thoughts unfold, and both register the work of the mind in comparable ways. The poems and photographs become translations from the discourse of philosophy, which permeates Dragomoshchenko’s creative work in ways both obvious and barely visible. Making things visible is the work of photography, so I begin with the images as a way to set up readings of the poems. 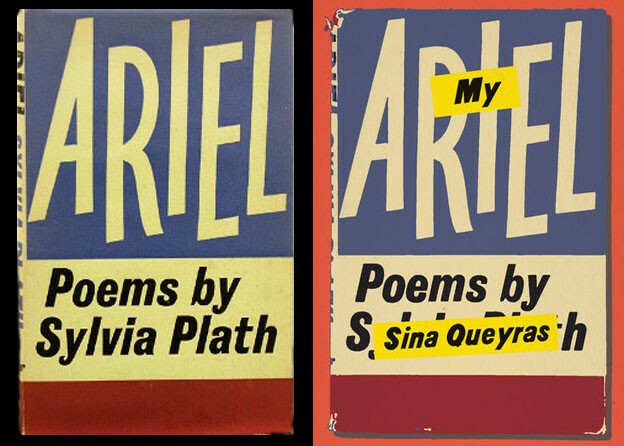 One poem is discussed here in detail, and readers will find fresh translations of others in the accompanying selection. Dragomoshchenko is a familiar name to many readers of Jacket2, but perhaps it is still worth reminding ourselves of some basic biographical facts, particularly as they help us define his rather unusual position in the context of Russian poetry. He was born in Potsdam in 1946, studied at the Leningrad Institute for Theater, Music, and Film and, like many who came to the capital for their education, remained in the city his whole life. He participated in the poetry underground beginning in the late 1960s, but he also stood apart. 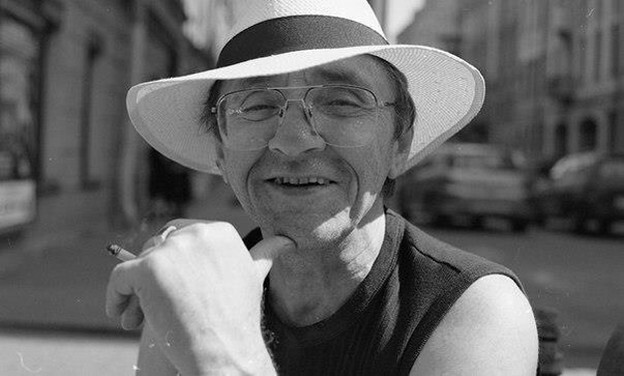 He won the first Andrei Belyi Prize, awarded in 1978, an extravagantly marginal event created by underground poets, but for prose (Viktor Kruvilin [1944–2001] won in poetry that year). The prize was awarded for his novel Disposition among Houses and Trees (Raspolozhenie sredi domov i derev’ev), circulated in typescript (“published” feels almost too grand a word for the carbon-copied pages) in 1978 as an “addendum” to the underground journal Chasy (Clock). A facsimile of the text is posted to a website for Chasy, and it is a thrill to find scanned images of those slightly blurred typed pages. Dragomoshchenko went on to publish nine books of prose and poetry in Russian. His work has been translated into multiple languages, most prominently English, with the participation of American poets, particularly Lyn Hejinian. Their long-standing relationship of mutual translation and rich conversation is one of the most interesting facts of American-Russian poetic cooperation in the late twentieth century. His deep affinities with L=A=N=G=U=A=G=E poetry were grounded in personal connections with the poets. His work resembles theirs in important ways: he rejects ideas of a unified, singular authorial voice; resists rhyme and meter as supreme poetic markers (and explores prose poetry); probes sensory experience and the workings of consciousness. That last is crucial: Dragomoshchenko tests philosophies of mind and phenomenology, alongside literary, cultural, and linguistic theories. His last book was Tavtologiia, which means Tautology; the previous book’s title was the word for Description. These terms point to the role of abstraction, to the work of thinking in categories, in Dragomoshchenko’s poetry, and also, I believe, his photography. Early in his long poem To Xenia, Dragomoshchenko wrote “poetry is not a confession of love / to language and the beloved / but an inquiry” (“poeziia ne / priznan’e v liubvi ‘iazyku i vozliublennoi,’ / no doznanie”). To say outright that poetry is not a confession of love is to distance this poem, which is presented as direct address, from traditional love poetry; but to say that it is not a confession of love for language is to reject poetic traditions, which could motivate a poet like Joseph Brodsky to say of poets, casually but also proudly, “we all work for the dictionary.” For Dragomoshchenko, there is no such employer. Poetry as inquiry is in a sense poetry as philosophy. How to understand the nature of that inquiry? My hypothesis is that it is an ontological inquiry, an inquiry into the nature of self and other, an inquiry into the place of the self in a world of otherness. Dragomoshchenko searches out those moments when self-presence seems possible. He takes such tasks seriously, but he is not a systematic or consistent philosopher. He invokes philosophical terms and ideas, but not so as to build a system of truths. He circles around philosophical truths, he entertains them, living with them long enough to write a poem, and then he writes another poem. Or revises one — his changeability in this regard is legendary. That unfinalizability of creative work, that sense that all is always in process, is more readily clear in the poetry than in the photography, but even there, Dragomoshchenko is often seeking what Neil Hertz called, in another context, “figures for the unrepresentable.” How to get that mass of sensation, impression, perception, and memory into visibility? In photography, Dragomoshchenko often explored texture, as in the safety pin and netting that created the cover of Tavtologiia. Its gently draped, off-kilter bit of netting takes what might otherwise be the suggestion of a grid, a repeating intersection of horizontal and vertical lines, and makes instead a pattern of tiny square demarcations that never seem fully to straighten out. The image is most marked by its small tear, an inverted v-shape that is repeated in the safety pin piercing the net, open but hanging securely. The safety pin could emblematize repair, the work of reconnecting torn bits of fabric such as the hole seen next to the pin. But it is open, the gesture of repair refused, and we might read that detail as Dragomoshchenko’s way of including, indeed praising, the element of flaw, or what he calls in his poetry “error.” He writes, for example, in the poem “Accidia” that “everything begins in an error of vision.” The capacity to savor deviations and mistakes is consonant with the Formalists’ argument that poetic language is deformed language, and the photograph encourages such an argument in visual terms. Our eye is drawn down the image toward the pin, and then still further, traveling to the two horizontal white stripes that seem to ground the image, stabilizing its thin, flimsily material nature. What is most mysterious and beautiful about this image, to my eye, is its indeterminate solidity. The debris and leaves seem not so much stuck into hardened snow as paused on a surface of foam. This spongy texture should be considered for its potential likeness to the workings of the mind. Elaine Scarry has written memorably about the capacity of verbal instruction to elicit mental images in us, and she emphasizes flowers as having just the right texture and thinness for easy representation. Dragomoshchenko is after something more resistant to imagination, and when he gives us filmy surfaces, as in the next image, he often complicates our reception of them by introducing something almost inappropriate. Both these forms of insisting on the unexpected recur in the poems; the photographs can teach us to be better readers of such incongruities. In this beautiful black tissue overlay, the allegory has less to do with the mind’s work than with an aesthetic principle, of stopped time in photography. The image obscures but also doubles time’s captured instant: the dim circle of a watch face at the bottom of the image creates a sense of time’s echoing reverberations, if not its repetitions. Here is time plus textile, time crumpled as the surface of the filmy blackness is crumpled, the differing shapes and designs of light caught at odd angles suggesting process, movement rather than any arrest of chronology. Something similar happens in the filmy and reflective surfaces in this next image, although by a different method: here, the photograph separates out textile from glass, giving us two surfaces, one rippling and one smooth. Both let us “see through” to the outside. Like the image of dry snow, this photograph wants us to think about the uncertain nature of surfaces, which are layered here, soft against hard, flowing against flat. Like the safety pin and netting, the dress image seems stabilized by the horizontal bar of buildings at the bottom and the wires above them. Those telephone wires are duplicated by the lines of the wire hanger, a visual metonymy that surely pleased the poet. But the water on the window glass catches our attention more firmly if we look closely at the picture’s bottom. Similarly, the crossbar of the window, which should hold things firmly, is blurred at the center, softening its powers to stabilize. The dress itself, like the tissue surface over the watch, barely covers what is behind it, but we are looking at something far less abstract. The dress suggests not just a bit of fabric, but a person. The dress is held up to the light as a translucent shape of fabric that would envelop the body. The dress seems to measure the light against the absent person, whom it would clothe. Again, we confront the work of imagination, very much like Scarry’s Dreaming by the Book, with its account of language’s ability to get us to picture textures, folds, and depths. Dragomoshchenko’s photography, at least in these examples, displays not the impulse to use photography to catch something that is (Roland Barthes’s definition in Camera Lucida). Rather, it’s always a kind of second-order representation in the photograph, so that the photograph is the idea of the thing, the representation of our mind’s work. Each photograph becomes a mind’s assertion of its own reality. Each photograph projects a world of the imagination, a play of surfaces and textures, of haptic as much as visual power. Photography is doing ontological work for this poet, asserting the pleasures and the spaces of being. I’m poring over the page this is written on. Second, all sorts of photo cameras, silver spoons, shadows. a window. And I have a headache. And I have more of a headache. and then light up a cigarette. рассматриваю страницу, на которой это написано. Во-вторых, разные фотокамеры, серебряные ложки, тени. окно. И у меня болит голова. И она болит сильнее. никуда убегать. Лучше — чтобы голова «пополам». The poem invokes photography, not by means of ekphrasis, thus not by recreating or instructing us to think about a photograph, but by referring to “all sorts of photo cameras.” To draw attention to the machines that make pictures is to invoke the key aesthetic argument about photography, whether it is art at all because it relies on the work of the machine rather than the will of the artist. But Dragomoshchenko takes the question of will elsewhere. These cameras deny agency no more than the implied keyboard that lets the poet peck out words. Neither can be escaped; both compel the poet toward creation. The silver spoons and shadows revive the possibility of ekphrasis, instructing us to imagine two elements of a photograph that would gleam and darken before us. The objects that make poems also make photographs: reflecting surfaces, more shadows, a window. The window points to an outside world, but the poet closes off any escape, closed in by the sense that he is locked inside his own head, a head he knows by its pain. When words from the first line are repeated, like a refrain but in quotation marks, we realize that the poet is having a conversation with himself. The head splitting in two serves as an image for that internal conversation (we note how much, elsewhere, there is conversation and letter-writing in Dragomoshchenko’s work), but here the chatter is lonely, a wish to say farewell to someone unseen. The desired speech act is in fact a song, an opera song. It could be any aria, or it could be the famous aria that emphasizes that word “farewell” / “proshchai” — Lensky’s aria in Eugene Onegin. For Dragomoshchenko, the specificity of the source is less important than the phenomenology of the event, and we would be well to remember the account of singing, especially of the aria, offered by Stanley Cavell, as conveying “the sense of being pressed or stretched between worlds.” The poet fantasizes singing the perfect operatic word, farewell, out into dark nothingness, performing an act of valediction. We should resist the temptation to read this poem, published seven years before any sign of illness, as if Dragomoshchenko know we would be mourning him. Pain and death hover, but only as they always do when questions of being are contemplated. The sung word is more than a distraction from an aching head, because its immediate force is to return the poet to himself, but to a self seen as if from afar. As we could have predicted from Cavell’s argument about skepticism, the poet is quickly and easily, as his own adverbs have it, brought to an immediate apprehension of his own being. He looks to his hands, to his accoutrements of wine and cigarettes, for which the hands seem almost to reach. Not Keats’s living hand, reaching toward readers, insisting on the word’s supreme power to live on, but the poet’s reminder to himself of his own capacity for touch, the sensation that his photographs explore. The poems published alongside this short essay will allow you to follow similar pathways, inspired by the photographs, through Dragomoshchenko’s poetry. In “Dreams Photographers Appear To,” the poet foregrounds the paradoxes of place, not unlike the evasions of “And it’s not like I can run off somewhere.” He locates the poem in a place of transit, a “Casablanca” of the movies but also of the mind. The prose poem “Agora” presents a different paradox, of cultural public space for conversation but also the space for an exchange of ideas. “Dreams Photographers Appear To” reaches across aesthetic boundaries, but “Agora” reaches across time, back to the ancient world where philosophy was born. Its strongest emblem of second-order representation is the photograph, a found object that is doubly distanced from its subject, lines of poetry. Nowhere more than here, the poems loop back and forth between the verbal and the visual and, like the photographs, they take up metaphors for translation — between art and philosophy, between cultural eras, between tangible realities and imagined myths. American readers will get another occasion soon to read more poems — I take this occasion to express my gratitude to Eugene Ostashevsky for sharing his knowledge of Dragomoshchenko with me, and for allowing some of the translations forthcoming in Endarkenment to appear here. 1. Dragomoshchenko’s name turns up in histories of the famous Leninground Cafe Saigon, and his work appeared in the well-known samizdat journal Chasy, created by members of the Leningrad Underground, more on which see below. But he was more associated with the theory-oriented journal Kommentarii, and he was closely connected to Mitin zhurnal and its editor, Dmitrii Volchek. 2. Their connection informs two chapters of Jacob Edmond, A Common Strangeness: Contemporary Poetry, Cross-cultural Encounter, Comparative Literature, 1st ed. (New York: Fordham University Press, 2012). See also Jacob Edmond, “‘A Meaning Alliance’: Arkadii Dragomoshchenko and Lyn Hejinian’s Poetics of Translation,” Slavic and East European Journal 46, no. 3 (2002): 551–63. 3. Many L=A=N=G=U=A=G=E poets were also engaged with issues of political critique and social justice; Dragomoshchenko rarely followed suit, in part because of the very different associations for political poetry in the heavily ideologized spheres of official Soviet poetry. But he did evince a concern for matters of power and hierarchy, often represented by his layering of linguistic registers and by the kind of “characters” fleetingly created in his work. 4. Description was also the title chosen by Lyn Hejinian and Elena Balashova for their translated volume of Dragomoshchenko’s poetry: Arkadii Dragomoshchenko, Description, trans. Lyn Hejinian and Elena Balashova, 1st ed. (Los Angeles, Calif.: Sun & Moon Press, 1990). For the Russian books, see Arkadii Dragomoshchenko, Tavtologiia: Stikhotvoreniia, Esse (Moscow: Novoe literaturnoe obozrenie, 2011). Also Arkadii Dragomoshchenko, Opisanie (St. Petersburg: Gumanitarnaia Akademiia, 2000). 5. Arkadii Dragomoshchenko, Xenia, trans. Lyn Hejinian and Elena Balashova (Los Angeles, Calif.: Sun & Moon Press, 1994), 11; Dragomoshchenko, Opisanie, 150. 6. Joseph Brodsky, “The Condition We Call Exile,” in On Grief and Reason: Essays (New York: Farrar, Straus and Giroux, 1995), 33. 7. Thus, Dragomoshchenko can write, in a poem from Xenia, “To speak of poetry is to speak of nothing” / «govorit’ o poezii oznachaet govorit’ o nichto» (Dragomoshchenko, Xenia, 28; Dragomoshchenko, Opisanie, 162). That poem goes on to include a line that would make Brodsky roll over in his grave: “The words are repulsive” / “Slova otvratitel’ny” (30, 163). 8. Stanley Cavell, “Benjamin and Wittgenstein: Signals and Affinities,” Critical Inquiry 25, no. 3 (Winter 1999): 235–46, qtd. from 237. 9. Elena Fanailova had this quality in mind when she wrote, in response to Dragomoshchenko’s death, that he was a peerless educator («kak prosvetitel' ne imeet ravnykh»). See Fanailova, «Velichie smerti i ee zhe nichtozhnost',» Colta (September 13, 2012). 10. D. N. Rodowick, “Ethics in Film Philosophy (Cavell, Deleuze, Levinas),” nd, 3. It can be found on a site maintained by Rodowick. 11. Neil Hertz, “Some Words in George Eliot: Nullify, Neutral, Numb, Number,” George Eliot’s Pulse (Stanford, Calif.: Stanford University Press, 2003), 284. 12. Dragomoshchenko, Description, 83. The citation comes from a poem dedicated to Hejinian. Dragomoshchenko only published the Russian version once, in an almanac: see Arkadii Dragomoshchenko, “Accidia,” in 25 Tverskoi Bul’var: Golosa Molodykh (Moscow: Sovetskii pisatel’, 1990), 216–21. 13. Scarry writes about literary texts, but her account of images’ suitability to mental representation is an apt approach to the photography work of a poet like Dragomoshchenko. I would argue that the same is true of poet and photographer Anna Glazova. See Elaine Scarry, Dreaming by the Book (New York: Farrar, Straus, Giroux, 1999). 14. It bears mention that persons appear often in Dragomoshchenko’s photographs: actual persons — friends, acquaintances — and masks, substitute persons. For many more images, click here. 15. For a different approach to the poet’s photographs, and a much more detailed and sustained account of the work, see Dennis Ioffe, “Arkadii Dragomoshchenko’s Photography: A New Visuality and a Poetics of Metaphysical Inebriation,” Slavic and East European Journal 55, no. 4 (Winter 2011): 583–613. 16. That original argument, by Roger Scruton in 1981 and Kendall Walton in 1984, is compactly presented and challenged in Diarmuid Costello and Margaret Iversen, “Introduction: Photography Between Art History and Philosophy,” Critical Inquiry 38, no. 4 (Summer 2012): 679–94. 17. Another theme could be discussed here at length, signalled by Cavell’s work on companionship and ethical conversation. Both are, I believe, critically important in Dragomoshchenko’s writings, but I leave this topic for another occasion. 18. That operatic performance shows Dragomoshchenko doing something else that is typical of his poetry — enacting a translation, in this case between art forms, a translation of the voice from the conversational to the singing register. Note that the poet does not drift into praise of song as something beautiful, as we would find in Symbolist and post-Symbolist poems where music is the emblem of art’s highest achievements. 19. As noted by Julie Buckler, in response to an earlier version of this paper. 20. Stanley Cavell, A Pitch of Philosophy: Autobiographical Exercises, Jerusalem-Harvard Lectures (Cambridge, Mass. : Harvard University Press, 1994), 144. 22. Endarkenment: Selected Poems appeared in January 2014 from Wesleyan University Press.